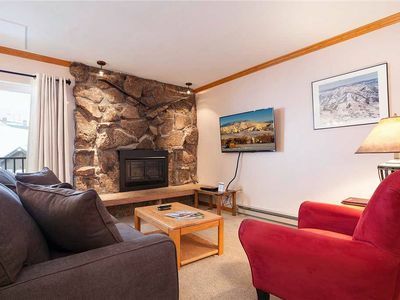 Whistler Lodge is in a perfect location for your Steamboat vacation. 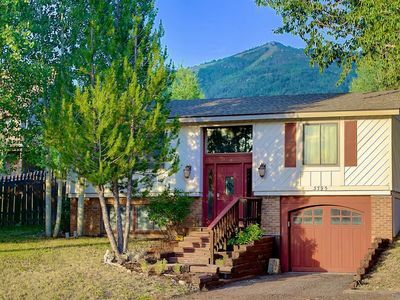 This split level, single family home, perfect for multiple and extended families or up to 4 couples (it will comfortably sleep 8 adults), is less than a mile from the gondola and right on the bus route, but in a quiet, local neighborhood steps from Whistler Park, one of Steamboat's best. The park, as well as a huge, fenced in back yard makes it perfect for kids and dogs. 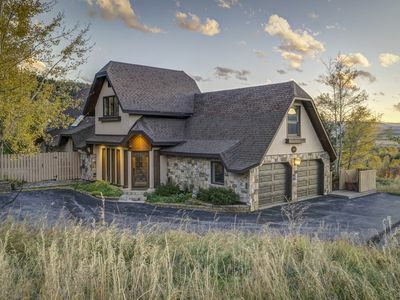 Adults will love the fantastic views of the ski slopes from the private hot tub in the back yard, a great outdoor dining set and Weber BBQ grill. 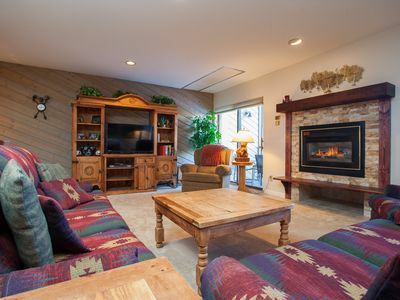 Mountain style tongue and groove walls in the kitchen make this home feel like a lodge. 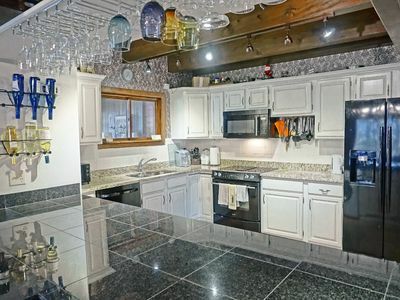 The kitchen is on the top level, has stainless steel appliances, a dining table with 6 chairs and great views of the slopes. 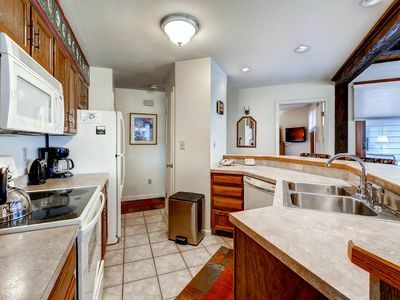 It also has a desk with two chairs to comfortably seat 8 total and is fully equipped with everything you need to cook a great meal. 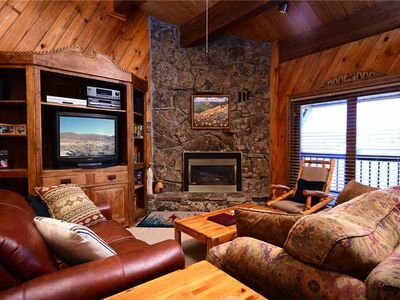 Outside the kitchen is the living area which features views of Emerald Mountain, plenty of comfortable seating and a large flat screen TV. On the top level there are two bedrooms, one with a king bed and one with a queen, and one full bathroom. 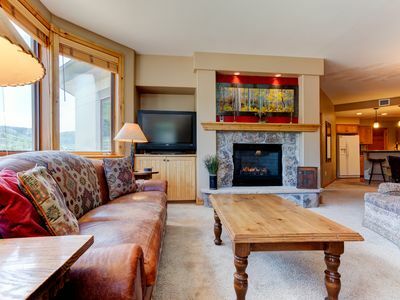 Both bedrooms have very comfortable beds, great views and flat screen tv’s. 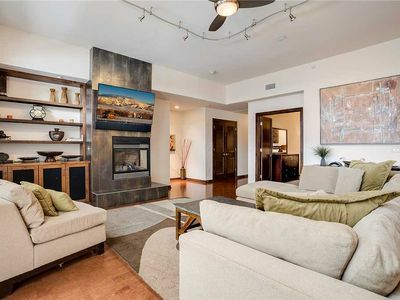 The bottom floor offers the 2nd living area, the third bedroom and a full bathroom. 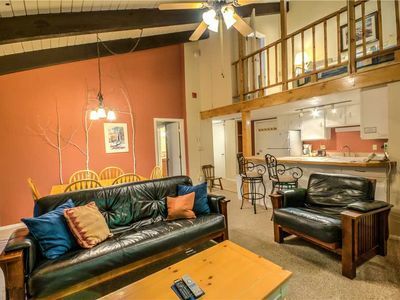 The 2nd living area has a gas fireplace, large flat screen TV, a bunch of board games and a sleeper sofa that pulls out to a full size bed. The bedroom has two comfy twin beds that can be converted to a king bed upon request (please note when booking). 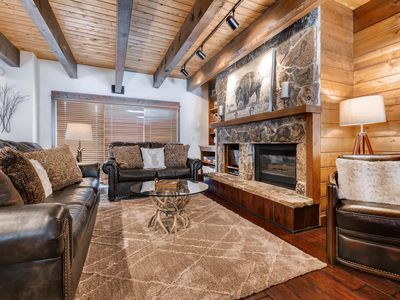 The Whistler Lodge is literally a cool house! 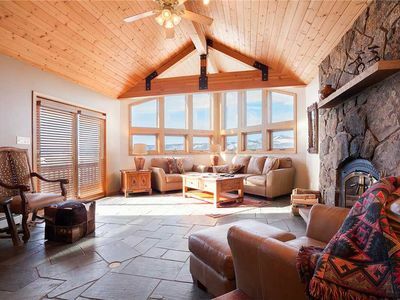 A window AC in the main living area keeps the top floor cool and the bottom floor is below ground (garden level) and stays cool too. 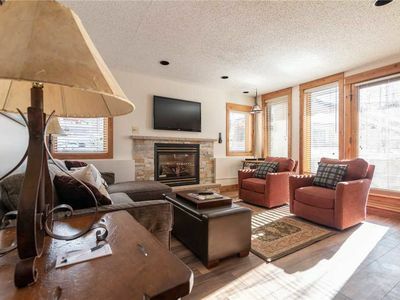 The gas fireplace on the bottom level and base board heaters on top floor keeps the whole house warm and cozy in the winter. Lots of Parking! Attached 1-car garage on the bottom level and multiple parking spaces on the driveway. 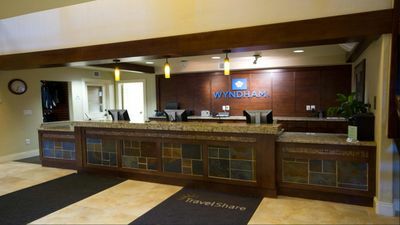 Airport transportation, ski concierge, babysitting, grocery delivery, restaurant reservations and other concierge services available upon request. 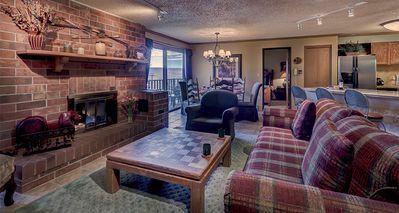 SM436 by Mountain Resorts ~ Charming Condo with Mountain Views & Hot Tub Onsite! 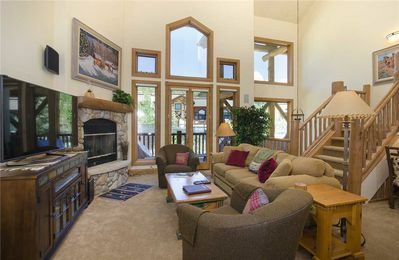 X2743 by Mountain Resorts: Outdoor Pool & Hot Tub ~ Perfect summer base! 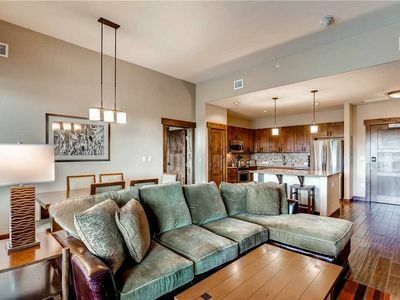 Luxurious Condo w/Resort Style Amenities! 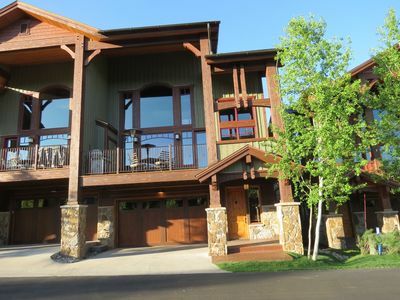 Best location in Steamboat! Quiet complex on bus line. Great for families. 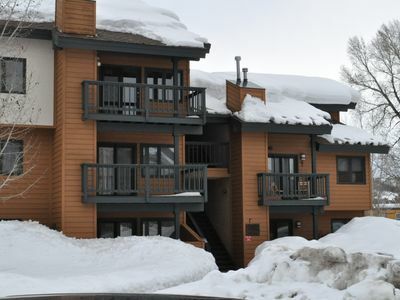 Great Summer Rates - Fantastic Condo Located Near Resort! 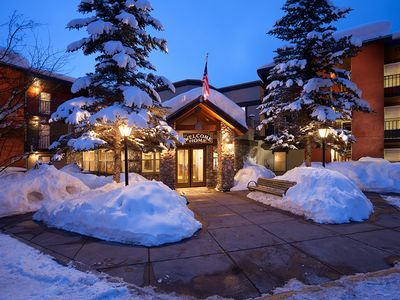 Visit Steamboat Springs For a Luxurious Stay!